Sometimes we like to drool over expensive knives, gadgets, and kitchen appliances that we can't afford. Check out the tools we wish we had in our kitchen. Brittany: If you're looking for a more affordable starter knife, I recommend this one. Trevor: Damascus steel is lit yo. I'm pretty sure that is something that the youth say. Make sure that you hold the knife before you buy it. If it doesn't feel good in your hand, don't buy it. Want perfectly cooked steak every time? You need this thermometer — it takes a reading in 2-3 seconds, has a super high accuracy, and comes in 10 colors! Brittany: I need this so I can stop being paranoid about whether or not my chicken is cooked all the way through. Trevor: I am terrible at cooking steak, hence I need one of these bad boys so I can get good. Pressure cookers have been around for a while, but the Instant Pot put the spotlight on the magic of pressure cooking. 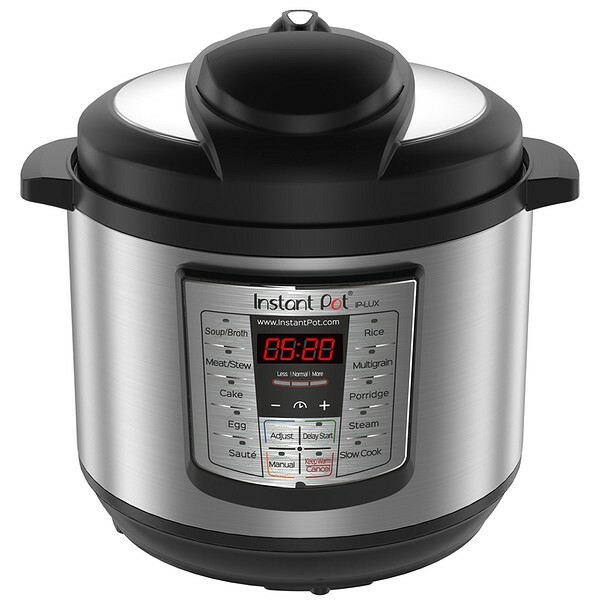 If you want the benefits of a Crock Pot (tender meat, developed flavors) but want to speed up the process, the Instant Pot is for you. Brittany: I love the Sauté mode. I am a fan of anything that helps me have less dishes to wash.
Trevor: I should really try my hand at slow cooking/pressure cooking. It'd probably cut down on the amount of take out I order.